It’s hard to remember that Fifth Avenue, opposite Central Park, was once lined entirely by the faux chateaux of New York’s wealthy. Most of those buildings have long since given way to apartment houses. But a number still stand – sandwiched between taller buildings – and among these, one of the loveliest, No. 934, has belonged to the French government for the past 70 years. 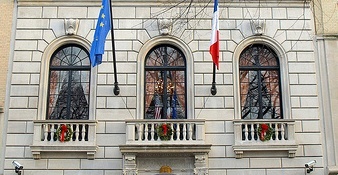 The French take great pride in their consulates and embassies. To celebrate them, the French government has commissioned a series of illustrated books about their outposts around the world. 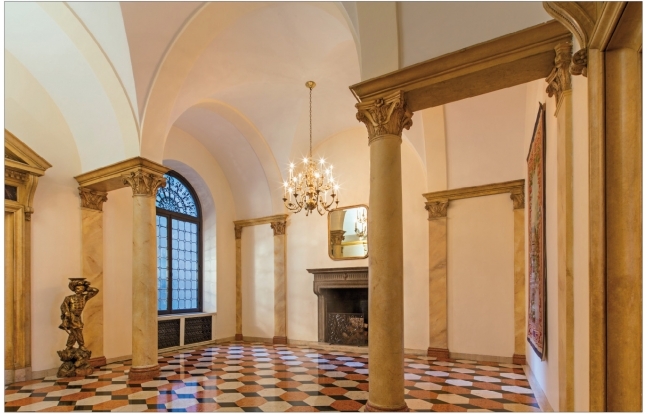 The series includes volumes on grand residences in Washington, D.C., Ottawa, Berlin, Vienna, Istanbul, Tokyo and more. 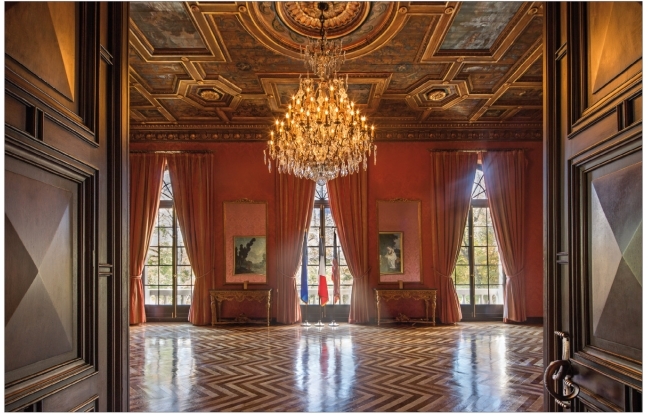 And the newest volume – of which I am a co-author – is devoted to the Consulate in New York. 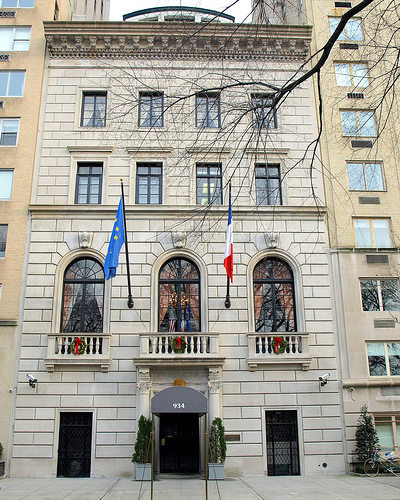 Though the French government has owned the building since 1942 (yes, it was bought by the Vichy government, which apparently wanted to move its Consulate out of the Maison Francaise at Rockefeller Center), it was built in 1925-26 for Charles Mitchell, President of National City Bank. 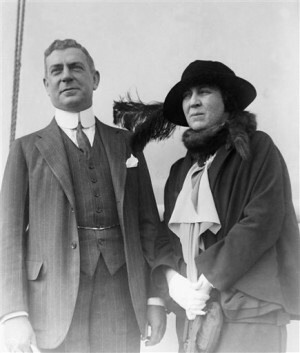 Mitchell had a somewhat turbulent career – starting as a clerk to an electric company in Chicago, he rose to be City Bank’s Chairman of the Board by 1929, advising Presidents Harding and Hoover on financial matters. When the 1929 Crash came, Mitchell’s fortunes crashed with it – accused of tax dodging in 1933, he was arrested in his home – in evening clothes – and escorted downtown. 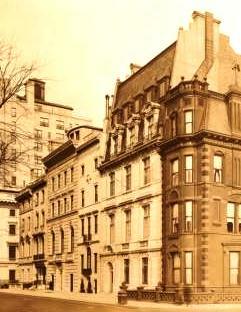 Though acquitted of the charges, he lost most of his fortune to the Depression, and gave up the Fifth Avenue house. 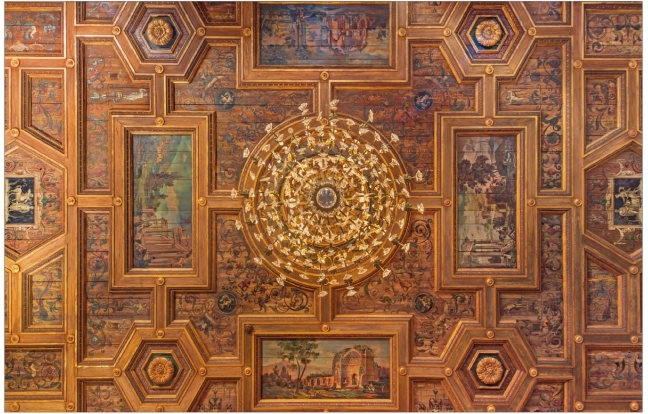 To design the new house, Mitchell hired the firm of Walker & Gillette, with whom he had long connections – they designed half a dozen branches of City Bank, as well as the family’s country house in Tuxedo Park. Though commissioned for Mitchell, Walker & Gillette’s design for No. 934 is also admirably suited to the French Consulate. 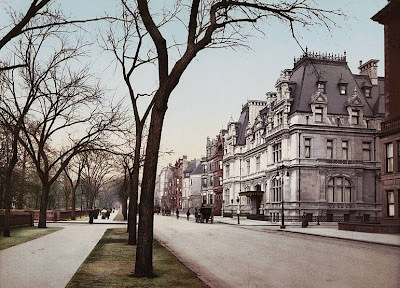 Leon Narcisse Gillette – like so many American architects of the time – had studied at at the École des Beaux-Arts in Paris, in 1901-03, and maintained his connection by joining – as did Walker – the New York Society of Beaux-Arts Architects, and eventually served as its president. For more on the book, click here – then click on “QUELQUES PAGES” for a peek at some sample pages. 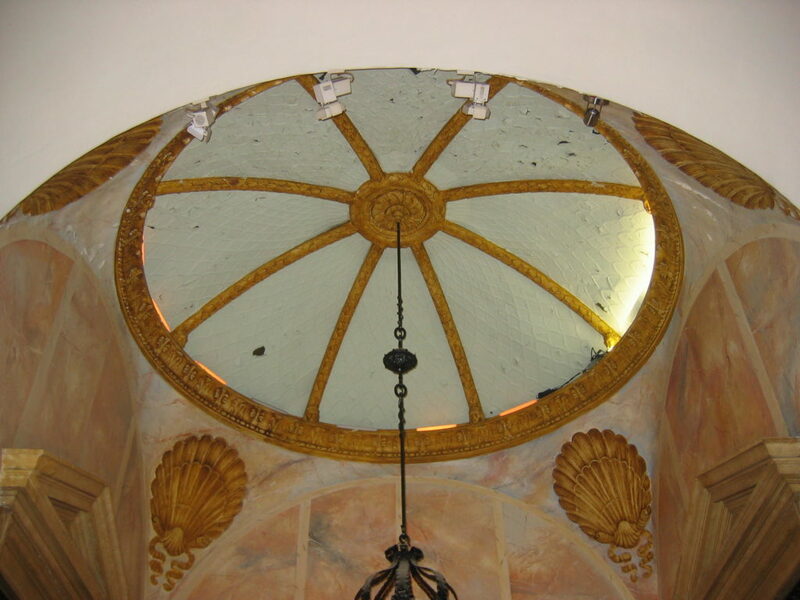 Next StoryLost Landmarks – found, for a moment…. You write beautifully, and your enthusiasm is infectious.